We have complete aquaponic systems available in Beige or Rivergum Green. Please ring us if you are wanting some advice about purchasing one of our systems or discuss upgrading systems. All systems are complete with pre-drilled pipework. The Balcony System is our smallest system. This all-in-one unit is ideal for a small sunny area. The dimensions are 1160L, 580W ,1080H. As the tank is only 350L, it is not appropriate for edible fish so we suggest putting in 6-9 small fish. The systems also come in 27 colours. 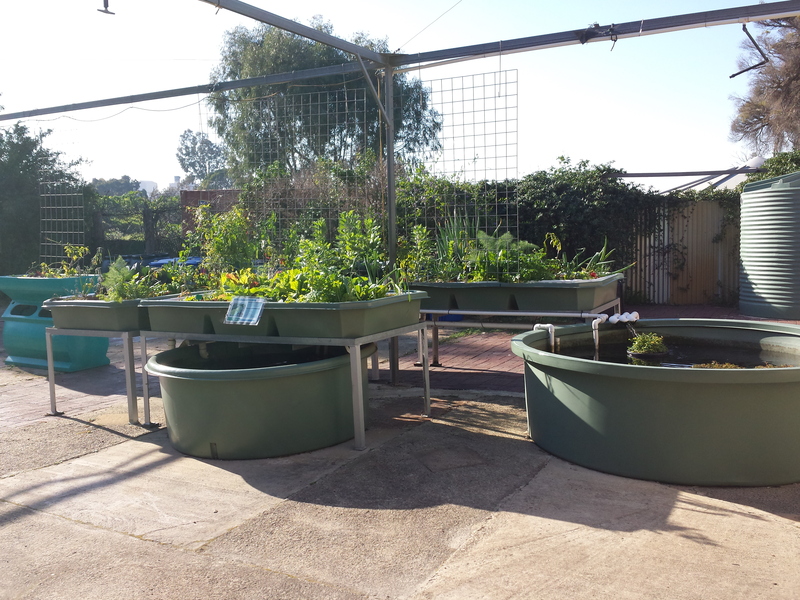 Our Courtyard system is one of the most popular aquaponic systems, it’s small enough to fit into tight spaces and it’s modular nature lends itself to easy expansion. 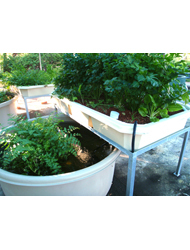 You can easily add an extra growbed to increase fish and plant productivity. If you would like it delivered and installed by us in the Perth Metro area add $450 to the system price. The fish tank measures 1700 (dia) x 630 (H). 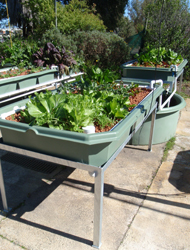 The growbed measures 2200 (L) x 1200 (W) x 300 (H). Just add water, plants and fish. Having an Entertainer system will be ideal for two people, it provides plenty of fresh produce for two people year round. 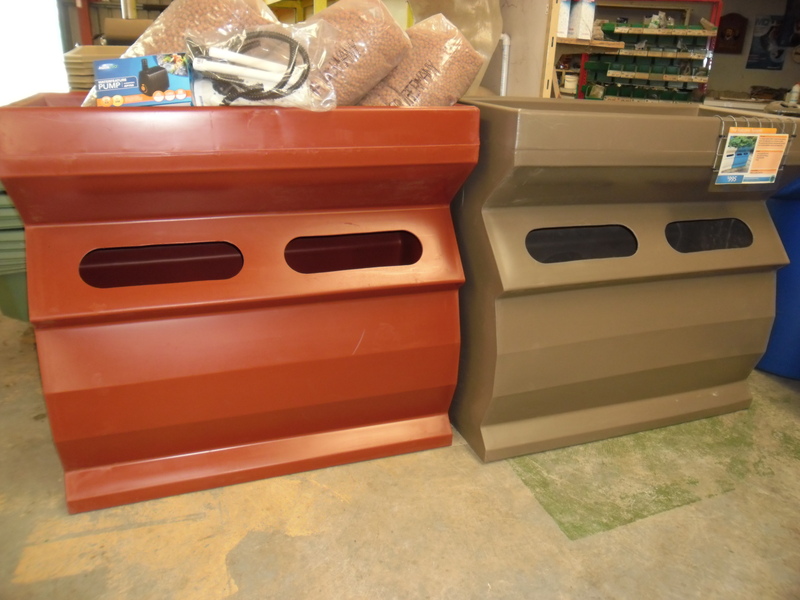 It has been designed so that the fish tank can sit underneath one of the grow beds to save space. Everything you need to get your system up and running with all pipework precut and drilled ready to go just add water, plants and fish. If you don’t feel confident installing the system yourself you can take advantage of our delivery and installation service for just $675 within the metropolitan area. The Backyard system is a great idea for those who want to be a little more serious about their aquaponic food production. Yes, for the price of less than your average spa, you can own your own aquaponic system with three grow beds giving you an area of well over 6sqm of grow bed. The 2000L fish tank is large enough for you to stock up to 75 fish of your choice. The fish tank measures 2300 (dia) x 650 (H). 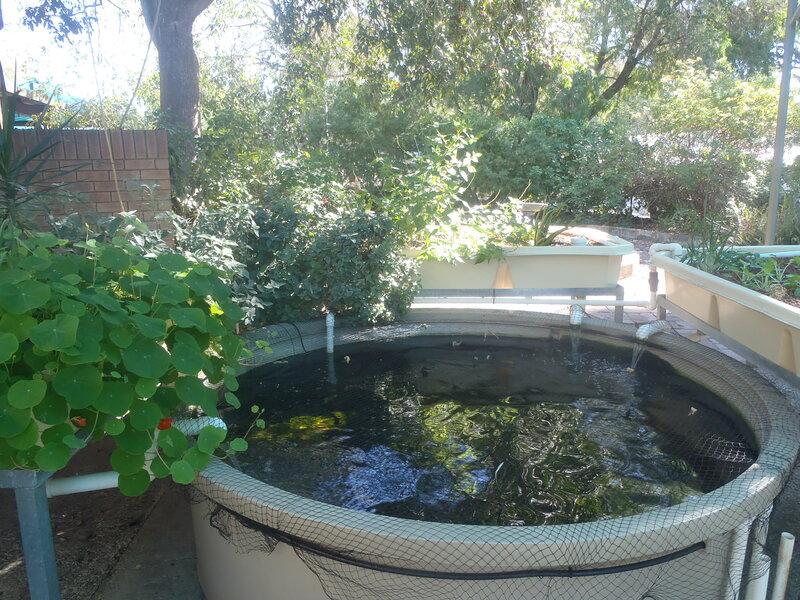 If you don’t feel confident installing your Aquaponic system yourself you can take advantage of our delivery and installation service for just $1300 within the metropolitan area.